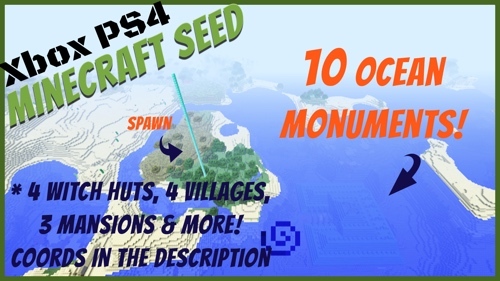 50+ seeds for Minecraft, you’ll definitely find lots of perfect Minecraft Xbox One Edition Large Map seeds to play your next game on. You’ll find the seed # and coordinates included. 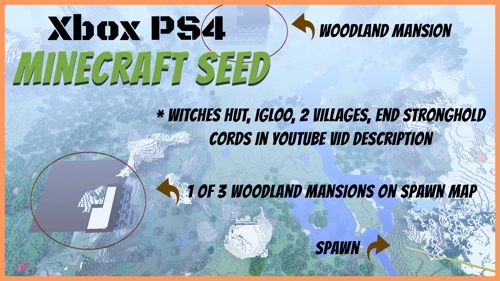 Even though the game is no longer being updated I still post Minecraft Xbox One Edition Large Map Seeds. The nice thing is that it means the seeds I do post should never go out of date or be incorrect. Since the game updates won’t mess with locations like it does in the Bedrock or probably java editions. It can be a bit annoying when a game updates and wipes out villages or other awesome coordinates I took the time to find. However it also gives me incentive to post new videos regularly like I do. I post a new Minecraft Bedrock Edition seed every Saturday. 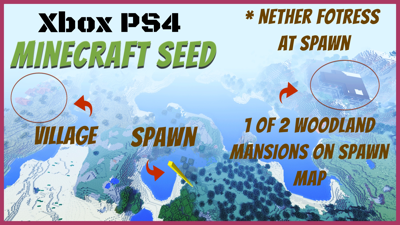 However with the Minecraft Xbox One Edition Large Map seeds, I don’t post a new seed very often. This is mainly because I know they won’t “go bad”. It feels like my efforts are better spent for others and myself on finding seeds on the current update for the Bedrock edition, so that is what I focus on. At least you have the repository here however if you still play on the Xbox One Edition or feel like trying it out again. Minecraft Xbox One Edition Not What You Were Looking For?